At Abbotsford Cycles we service and repair bicycles, expertly build spoked wheels, and stock a wide range of parts and accessories. We love our bikes and we take good care of yours! Our extended hours during the week means you can drop off before work and pick up afterwards. Train, tram and bus are at our door for easy access. Online service and repair booking is available, same day turn around in most cases. 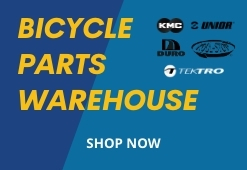 We have a massive catalogue of items for your bicycle online, in our shop and at the warehouse. Melbourne is a great city in which to ride a bicycle and Abbotsford Cycles is proud to contribute to its liveability.